Dignity Extra Absorbent Pads from HealthyKin.com feature a core which gels when wet for dryness and odor control. An acquisition layer also helps distribute fluid. 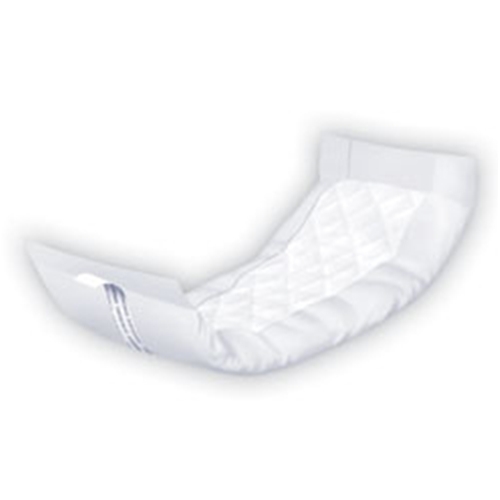 Dignity Extra Absorbent Pads are an excellent choice for someone with moderate incontinence. They can be worn in your own underwear. Pad size: 4 x 12"
Very good product and they are more comfortable to me then other pads. Shipping was very fast also. This is the best place to get the product we want; we get exactly what we ordered at not just a good price but the best price we've seen. And although we opt for the most inexpensive shipping method, it arrives within a day or two. Good product at a fantastic price. Adhesive isn't very good and they aren't tapered.